Prepared using the 3 most popular flower types around, the pleasant fragrance from the Oriental Lilies and the gorgeous Gerberas and Roses are all working together to form a dazzling display to bewitch, dazzle and bewilder! 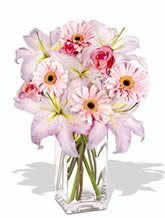 Order Dazzle straight away to surprise the special person your life.Lilies may be sent closed/partially closed in order to prevent damage and to last longer.Featured vase not included. 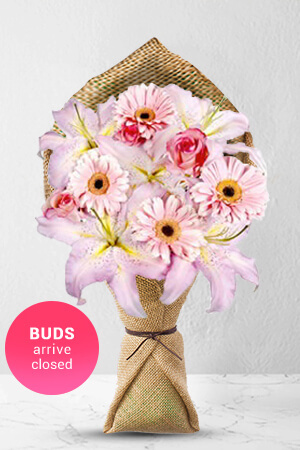 We recommend sending a superior vase for your loved ones to house this dazzling bouquet in. This perfect combination is sure to leave a lasting impression.